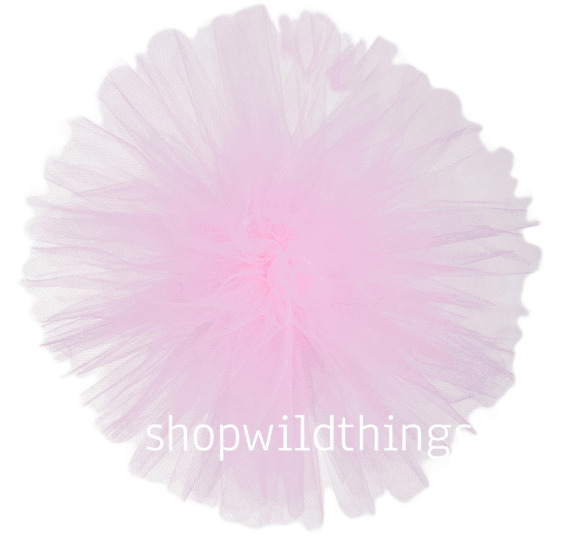 Ready Made Tulle Ball Pom PomsTulle Pom Pom Set of 4, Pink, 8"
Tulle Ball Pom Poms- 8" Pink - Set of 4 - Our new line of tulle pom-pom balls are extraordinarily soft and fluffy and so light and dreamy! 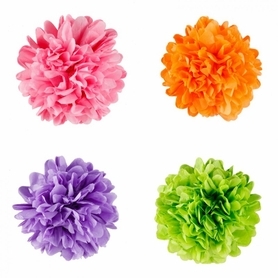 Tulle balls can be used in a variety of ways - hang with ribbons or monofilament line, pop into a vase or bowl, use as filler for empty spots or use in centerpiece arrangements. They're just so darn easy to use and with our large variety of colors and sizes, you're sure to find exactly what you need. Put a bunch together for a colorful, full display or use individually. 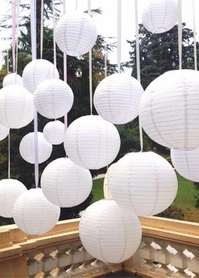 What's so fantastic about these balls is that you can create a full ball or a half ball, fold to store then use again and again in the shape that suits the occasion. This 8" ball is a pretty shade of pink - perfect for a pastel party. You'll get a set of 4 and each ball comes flat with a matching satin ribbon around the middle and the layers of tulle are folded like an accordian. The ribbon secures the entire ball so please do not remove. If you want to hang the tulle, secure a ribbon or monofilament to the middle before starting. To create a full ball lift and seperate half of the tulle layers, pulling in one direction, then lift and seperate the other half, pulling in the opposite direction. To create a half-ball to sit on a surface, pull all layers in one direction. You'll be amazed at how quick and easy it is! To store, bring the layers together, matching the accordian folds. Each ball has it's own protective plastic cover that opens up so just place the folded ball on the plastic, roll it up and the plastic will adhere to itself.